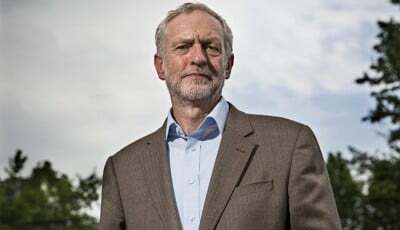 Shadow defence secretary Maria Eagle said the words were “not helpful”, while shadow foreign secretary Hilary Benn said Mr Corbyn should abide by the party’s decision on renewing Trident. In answer to some criticism on the matter Mr Corbyn said nuclear weapons “didn’t do the USA much good on 9/11”. He added that he was elected leader on a platform opposing Trident renewal. Prime Minister David Cameron said Mr Corbyn’s comments showed Labour could not be trusted with Britain’s national security. As it turns out it’s one of the first questions that new prime ministers face – and one of the most chilling. Tony Blair is said to have been “very quiet” when asked, and few of the country’s top brass are willing to reveal their answer. At least Corbyn answered the question, the fact he would not use nuclear weapons is unlikely to come as a shock – he was Vice Chair on the Campaign for Nuclear Disarmament’s 2014-15 council after all and until recently chair of StopTheWar Coalition. The incoming premier is usually tasked with writing the four “letters of last resort” within a few days of taking office. The letters contain the PM’s instructions of what to do in the worst-case nuclear scenario: the obliteration of the UK state. Unused letters are destroyed without being read: the weightiness of the decision, perhaps, being offset by the fact that no-one will ever know what one chose except in the most desperate circumstances. Only one prime minister has said his decision on the record: Jim Callaghan. If it were to become necessary or vital, it would have meant the deterrent had failed, because the value of the nuclear weapon is frankly only as a deterrent. But if we had got to that point, where it was, I felt, necessary to do it, then I would have done it. I’ve had terrible doubts, of course, about this. I say to you, if I had lived after having pressed that button, I could never, ever have forgiven myself. And what of the Trident system itself. If you thought that Britain’s Trident nuclear weapons capability was designed in Britain, made in Britain or even maintained in Britain and was therefore fully independent, you would be wrong. The British government states that the warheads used in the UK Trident system were designed and manufactured in the UK at the Atomic Weapons establishment (AWE) at Aldermaston. This is in fact not true. The government have since admitted that three components of the warhead (the neutron generator, gas transfer system and arming fusing and firing systems) are purchased from the United States. The Trident II D-5 ballistic missiles are submarine-launched and built by Lockheed Martin Space Systems, California. They are deployed by the US Navy and the Royal Navy: those deployed by the RN are leased from America. Each missile has a range of 11,300 kilometres (7000 miles): they use inertial and stellar guidance systems and are not dependent on GPS. They require gravity and weather data from the US for some elements of their guidance systems. In summary, the UK does not manufacture or maintain Trident. In the event of having to deploy, it is dependant on a foreign guidance system and foreign weather data and all four UK submarines were built to a design that had no British involvement. The command and control procedure is describes as thus: “The prime minister or a designated survivor can authorise the Chief of Defence Staff to order the missiles to be fired. The message is sent by CTF 345 operations room at Northwood, which communicates with the Vanguard commander on patrol. Two personnel are required to authenticate each stage of the process before launching, with the submarine commander only able to activate the firing trigger after two safes have been opened with keys held by the ship’s executive and weapons engineering officers. If the command and control system in the UK has been destroyed in a nuclear attack, the submarine commander opens a sealed letter from the prime minister that contains instructions on what he should do”. It sounds like a crazy question to ask. What if America did not agree with what the UK’s Prime Minister had decided in the event of nuclear conflict; would they be able to somehow control Trident? Some strange things do happen. How about “Last year, the U.S. Navy bought 59,000 microchips for use in everything from missiles to transponders and all of them turned out to be counterfeits from China”. Specifically, the American-designed, Chinese-made Actel/Microsemi ProASIC3 A3P250 — commonly known as the PA3 — chip was found by Cambridge researcher, Sergei Skorobogatov, to have a backdoor, or trojan, deliberately built into it. Most alarming is that the PA3 is considered to be one of the “most impenetrable” designs on the market. The chip is used in US military made “weapons, guidance, flight control, networking and communications” hardware. The problem is that microchips can be “trojan-horse” circuits (as described above) that can be built into the chip and are almost impossible to detect, especially without the original plans to compare them to. And Britain does not design or manufacture Trident’s firing systems. China has dumped American made chips for exactly this reason. The other problem is that Britain cannot actually trust America. For instance, America’s failure to recognise Britain’s right to defend the Falkland Islands when invaded by Argentina was described by parliament as “disappointing”. The reality was it caused a House of Commons inquiry into the health of the so-called special relationship. The report, released a day after the 32nd anniversary of the Argentinian invasion of the South Atlantic islands, highlights British frustration, annoyance and resentment that Washington refused to support Britain at what it saw as a critical moment. The reason for America’ failure to stand shoulder-to-shoulder with it’s closet ally at it’s time of need. “America continues to remain “neutral” in the dispute, in order not to upset its relations with Argentina“. To this day, the Obama administration argues that the current US stance does not even amount to “neutrality” since it calls for talks between Britain and Argentina in defiance of the clearly-expressed will of the Falkland islanders and the British government. Luke Coffey, a former adviser to Liam Fox when he was Defence Secretary and now the Margaret Thatcher Fellow at the Heritage Foundation, a Conservative think-tank in Washington, said the US had clearly “abandoned its long held position of neutrality” in the dispute. Negotiations over the status of the Falkland Islands is the official Argentine position. Instead of keeping quiet (neutral), under Obama’s leadership, the US has started backing Argentina’s calls for talks. And America has form. It did not support Britain’s fight against Hitler in 1939, if it had done so perhaps millions would have been saved. The US only entered the war on the side of the British by providing convoy escorts to help get goods to England, selling Britain 50 destroyers on credit under “lend-lease.” And that was it. Its actions were driven by the fact that it wasn’t in the USA’s interests until Hitler declared war on the US in 1941 and Japan bombed the American fleet (its interests) at Pearl Habor. If further proof was needed that America will only ever look after its own interests above any ‘special relationship’, one only has to hear the words of The Director of the Transatlantic Relations Program who said “The committee also fretted about the impact in the US of the promised 2017 referendum on British membership of the European Union if the Conservatives win the next election, warning that the America might start to “hedge” against an exit by deepening ties with other European capitals, to Britain’s detriment”. Jeremy Corbyn is right on one thing. Britain should scrap Trident. The next question is should it build its own system. Generally, government is in favour of replacing Trident at a taxpayer cost of around £100 billion. This money would be enough to fully fund A&E services for 40 years, employ 150,000 new nurses, build 1.5 million affordable homes, build 30,000 new primary schools, or cover tuition fees for 4 million students.